Want to connect all your wired and wireless devices and expand your network with ease? Setting up an Ethernet switch and mesh network may be the best way. Because today it becomes increasingly difficult to use only a router to make your all connections since the approach of IoT. However, Ethernet switch and mesh network will function adequately no matter how many connections you want to make. Here focus on the Ethernet switch and mesh networking. Unlike the stand-alone routers, which will arise signal loss or strength drops when you go away from them, while mesh Wifi networks can use another connection to create a continuous wireless link which minimises the possibility of dead zones. For example, you put your router in the downstairs living room. When you are on the first floor, your phone can connect to the Internet with a strong signal. But when you want to search the Internet in the upstairs office, the signal would degrade. Of course, you can boost a Wifi router’s connection with a signal amplifier. But in that situation, you have to manually connect your phone to the amplifier’s Wifi network. And if you go back to the downstairs, you have to switch back to the main router’s wireless network again. What a pain! Luckily, working with mesh Wifi networks, things are different. In a wireless network, all the nodes are connected with each other which means any node could be an Access Point (AP). Therefore, through the APs, wireless mesh network allows your phone automatically connects to the strongest signal no matter you are in the upstairs or downstairs. That’s better than what we could do with the traditional router Wifi networks. Figure 1: Mesh network exists in our life. If you want to build a wireless mesh network, using an Ethernet switch is a good choice. Before installation, you should consider how much coverage you need in your home. For many people, the money might be better spent on a Wifi router with good quality, since the mesh network equipment like the switches cost too much. But if you want to cover a large area with signal and your home brick is too solid for signal travel through, then use a switch to build wireless mesh network is a way to go. Achieving a cheap mesh network is based on switches. FS.COM publishes a set of Gigabit Ethernet switch supporting 1G, 10G, 40G and 100G Ethernet, in order to meet different demands. All the Ethernet switches meet all design and safety standards made by international and industrial organizations like ISO9001, FCC etc. 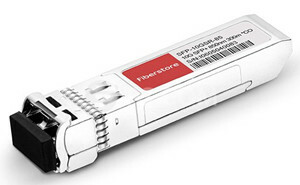 The following is a 10Gb switch named S5800-48F4S. It has 48 1GbE SFP ports and 4 10GbE SFP+ ports. This switch is a Layer2/3 switch with low latency of 2.3us. 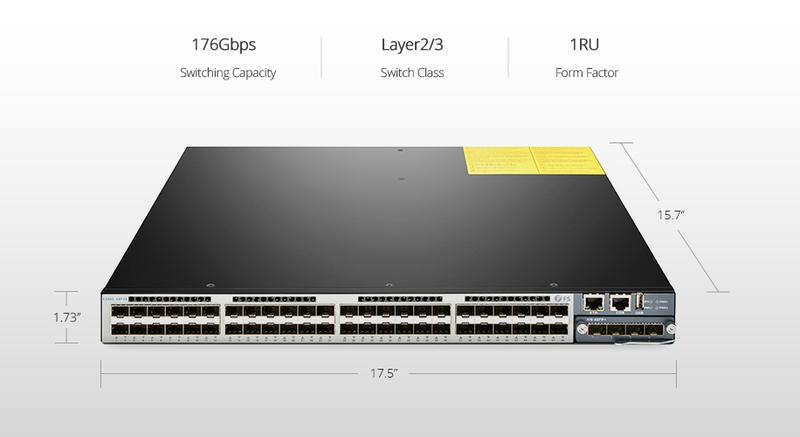 With the switching capacity, it provides a throughput of 130.95MB. Besides, it supports functions like MLAG, SNMP and so, making it becomes popular on market. Following the S5800-48F4S switch installation guide, you can easily finish the switch installation. Then you can configure the bridge parametres of AP according to the installation instructions to build a mesh network. 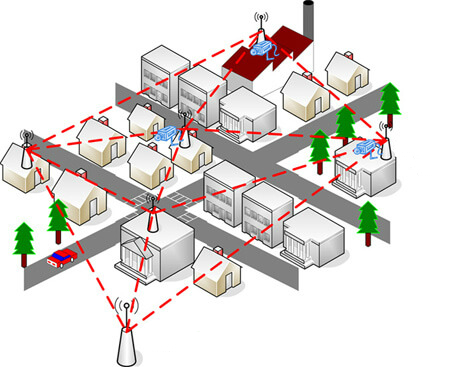 Due to mesh network advantages and disadvantages, we understand why and when to use wireless mesh network. Based on Ethernet switch, mesh networking can spread out fast Wifi across a relatively large area, which makes our life and work more efficiently. So don’t hesitate, pick one Ethernet switch from FS.COM to optimise your Wifi network. This entry was posted in Enterprise Network and tagged 10gb switch, cheap mesh network, Ethernet switch, gigabit ethernet switch, mesh network, mesh network advantages and disadvantages, wireless network on September 5, 2018 by Sinead.Zhang. Wireless Network vs. Wired Network: Which One to Choose? Our home networks rely on either wired (Ethernet) or wireless technology. Sometimes, we use both of them, especially when multiple Internet capable devices are set up in homes. 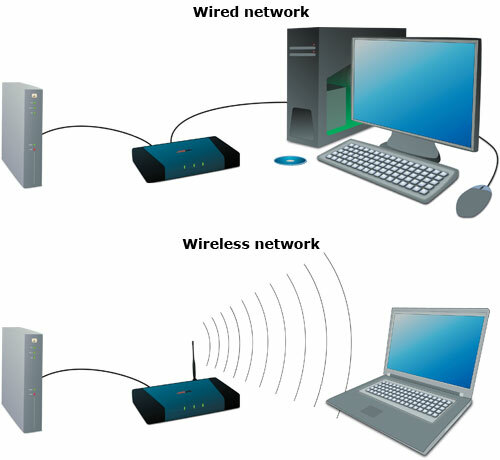 Wireless networks enable multiple devices to use the same internet connection remotely, as well as share files and other resources. But it’s still hard to say wireless is better than wired when we talk about wireless network vs wired network, since each one has advantages and drawbacks. This article is meant to make a comparison of wireless network vs wired network from three primary factors: mobility, reliability, and security. A wired LAN (Local Area Network) uses Ethernet cables to connect computers together directly or more commonly, through a hub, switch, or router. Wired connections typically cost much less and reduce battery drain on laptops and other mobile devices because Wi-Fi adapters use more power. As for wireless network, users can move around freely within the area of the network with their laptops, handheld devices etc and get an internet connection. The popularity of Wi-Fi has also increased due to increased smartphone and tablet sales. Many of these devices are not capable of wired Ethernet connections and rely on wireless signals for Internet connectivity. Ethernet-based(wired) networks tend to be much more reliable than wireless networks. The backbone of any network relies on an Ethernet connection. The most common problem with wired network is loose cable connections. Because you have to lay lots of cables and put them through walls etc. A bundle of tangled wires can result in damage and performance degradation. Using Zip-Ties is an excellent cable management way to keep the Ethernet cable out of the way and tangle-free. For the most part, wireless technology is reliable. There are some concerns about interference from home appliances such as microwaves and cordless phones, but most wireless routers provide multiple channels that can mitigate this concern relatively easily. The security of a home-based Ethernet network is almost primarily dependent upon a firewall. Most broadband routers include a firewall already and software firewalls can also be installed on individual machines. Unlike wireless networks that broadcast data through the air, all data packets in a wired network safely travel through Ethernet cables. As long as the router is protected from intrusion using a firewall, your wired home network is safe. The mobility of wireless networks is overshadowed in some respects by the lower security inherent to wireless. 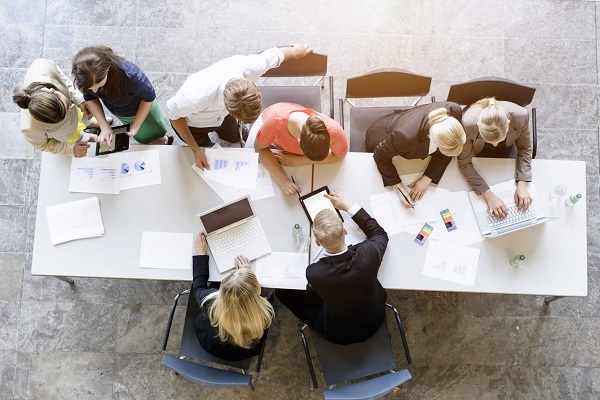 An unsecured wireless network can easily be compromised by a hacker or identity thief looking to intercept private information traveling through your wireless network. Although these risks are very real, many of them can be avoided with proper network installation. For example, using a secure password for logging into the wireless network. Although this does not make a wireless router completely safe, it certainly reduces the likelihood of unwanted guests gaining access to your information. Here, we do not mean to abandon one over the other when wireless network vs wired network. A good home network will often have both wireless and wired components. Ethernet connections are great for high-speed transfers on desktops or other devices that do not move. Your smartphone, tablet, or laptop will benefit from a wireless network that has been properly configured to ensure a secure browsing experience. Whether you choose a wired or wireless network, or a combination of the two, take time to configure it properly and add a firewall to protect your privacy and the integrity of your network while enjoying the benefits afforded by both technologies. If you need any Ethernet cables for wired network, or cost-effective Ethernet switche for wireless network, just give FS.COM a shot. For more information, please visit www.fs.com. Related Article: How to Get a Wired Home Network With Ethernet Cable? This entry was posted in Enterprise Network and tagged Ethernet switch, wired network, wireless network on October 20, 2017 by Admin.